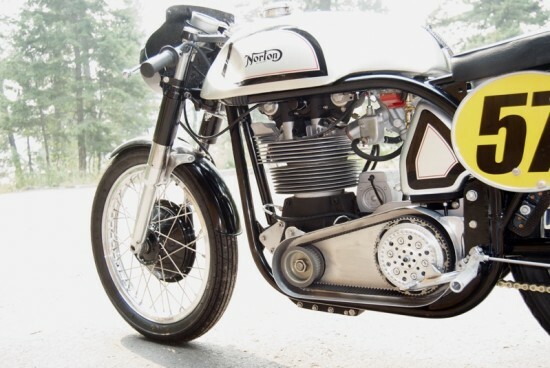 For many vintage motorcycle enthusiasts, the Commando is what first springs to mind when you mention Norton. But while that bike was stunning to look at and fast, its design wasn’t really cutting-edge, even when new. For vintage racing fans however, the name Norton probably conjures up images of this bike, the Norton Manx, a bike whose technical specification set the standard for privateer racing in a career that spanned 20 years, an almost impossible-to-imagine longevity in a sport where last year’s bike isn’t a classic, it’s just slow. The single-cylinder engine came in two flavors: 500 and 350cc’s. Both used reliable and precise bevel drive and tower shafts to work the dual overhead cams. But while the engine was sophisticated and reasonably powerful, it was just part of the picture and far from the bike’s defining characteristic. Instead, it was the bike’s “featherbed” frame that was the standout feature. 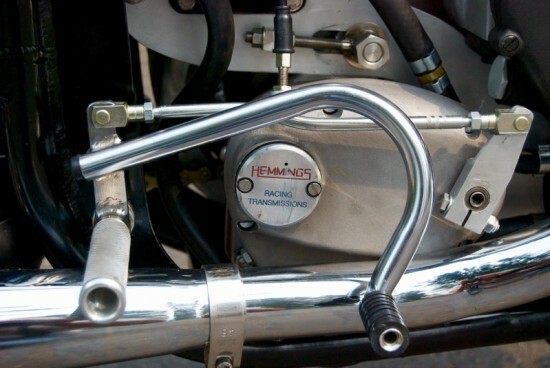 The innovative frame was lightweight, stiff, and featured a swingarm rear for excellent roadholding that allowed it to compete against much more powerful machines. 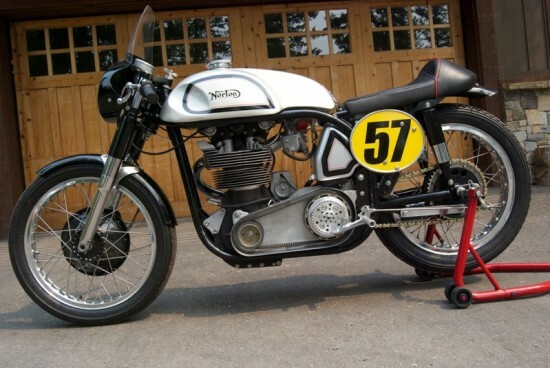 I have for sale here a “new” Norton Manx Replica. 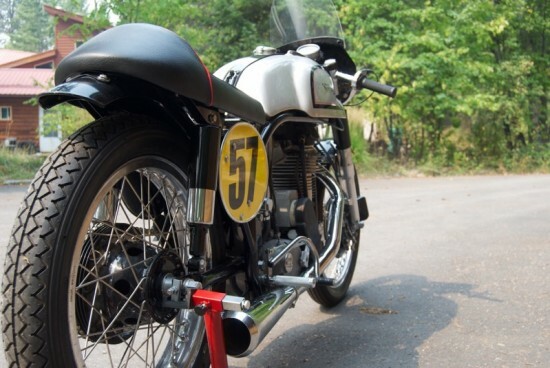 This bike was built in the image of a 1961 Manx. 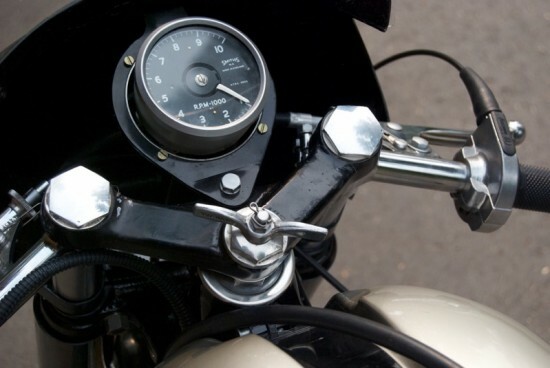 The bike is a re-creation, built to modern standards. I am relisting the motorcycle with lower Buy It Now and lower reserve. 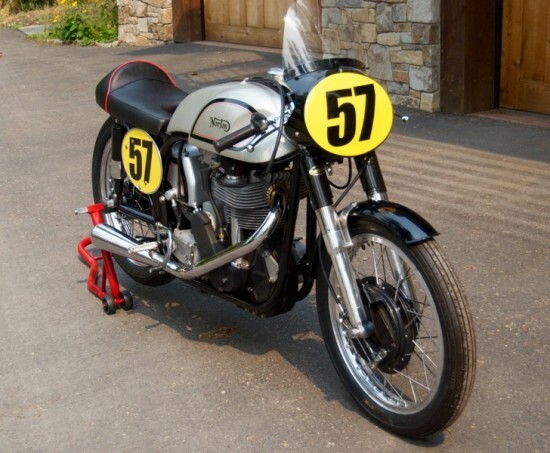 It was previously listed as a 1962 Manx Replica but Andy Molnar pointed out the single-sided brake is proper for 1961 and earlier, not 1962. New, never run, Molnar Precision Limited 500 cc. DOHC motor. I have a copy of the original build sheet. Believed new Mick Hemmings Quaife 5 spd. transmission. Keep in mind that, in this case, “replica” is underselling it a bit. Molnar makes what are basically recreations of the original Manx bikes, similar to “continuation” Cobras. They’re the real deal in every way, except that they weren’t built fifty years ago. In many ways, this is actually more desirable to anyone who wants to use the bike in anger, since they won’t be risking an irreplaceable piece of racing history and will get a very authentic experience racing one of the most perfectly designed and executed motorcycles of all time. Man, would I love one of these! Unfortunately terminal under-funding is the problem. I hear that’s going around… I have a severe case of it myself.